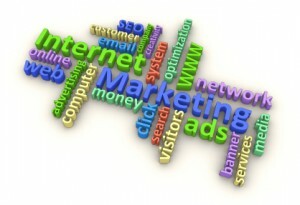 Internet Marketing is a very broad concept. Just because you have a website doesn’t mean that you are practicing internet marketing. It doesn’t even mean that you’ll get traffic. To put together a strong campaign that brings results many things need to be considered. An internet marketing plan can use: articles, video, press releases, pay per click, social media, podcasting, blogging and email just to name a few. Which mix is best? That will be considered when you consult with an internet marketing consultant who can go deep into your business and uncover hidden profit centres that weren’t there before. In fact, a recent client of ours increased their traffic by 232% within 3 months of working with us. Many business owners have had bad experience with internet marketing before. Some have burnt thousands of dollars on Google Adwords because they didn’t understand how to set the campaign up properly. Some owners have created videos or written blogs that no one read. What they didn’t understand that dipping a toe in the water and doing one shot testing rarely works. Strong campaigns need to be executed and tested until the desired result is obtained. Contact an internet marketing consultant to discuss how your business can profit from the internet. Finally, you don’t have to get involved with remote advertising agencies in other countries or cities that bombard you with emails and phone calls. You need a consultant that understands your business and the city it is run in. contact Nick on 0410 066 868 or via the contact page.